Jason Doherty our MOTM from yesterday’s game | Everything Mayo! I think it’s safe enough to say that Jason Doherty is one of our unsung idols. Not in our house, mind, as he’s a bit of folk hero to those of us under this roof, but, for sure, he’s a player who rarely gets sufficient plaudits more generally for what he does on the pitch for us. Yesterday wasn’t another one of those days where Jason’s performance went unnoticed. A bit like last year, the Burrishoole clubman showed yesterday that he’s hitting form just at the time when we really need players to step up. He did this in spades at Semple Stadium. His booming three points from play, allied to his powerful running – drawing fouls from which further points were claimed – and strong tackling made his contribution to our win over Tipperary impossible to ignore. He was selected as Man of the Match on Sky Sports last night and in the poll here on the site he’s now followed it up with winning the blog’s MOTM prize too. As the graphic below shows there was a good spread to the votes for this poll. Jason was the clear winner but James Durcan, Kevin McLoughlin (another star performer who rarely gets showered with accolades for what he does for us), Aidan O’Shea and Diarmuid O’Connor all deservedly got plenty of recognition in the polling booth this time out. Well done to all of them for the significant parts they all played in helping to get us across the line yesterday. 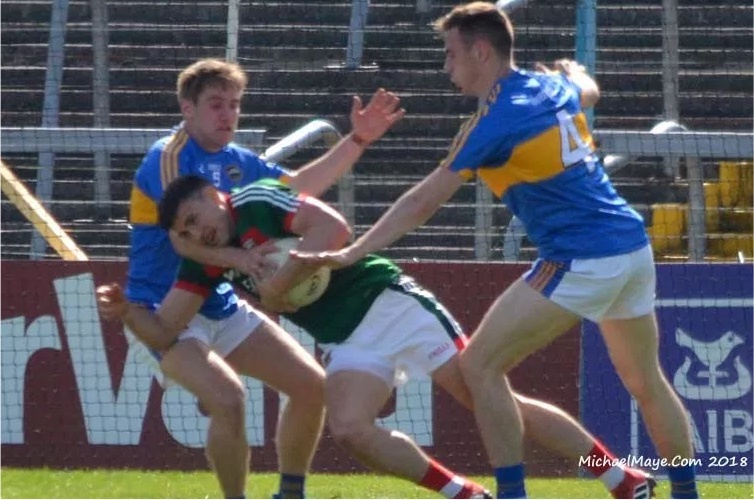 The post Jason Doherty our MOTM from yesterday’s game appeared first on Mayo GAA Blog.